Mike Dunn gives a great review and has screenshots comparing the Region 2 with the new Region 1 Transfer. The most interesting fact is that according to the person that sent me the review, the sound in the Pink Room scene now matches the theatrical version, which leads me to believe that New Line had tinkered with the audio mix submitted by Lynch and Neff. I should have a copy of my own in the next few weeks and will verify this as well. Special thanks to Emmanuel Delune for the great review. 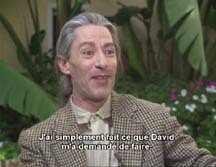 MGM has posted a quick clip from the interviews section of their Wild at Heart DVD featuring David Lynch speaking about the new transfer. You can check it out by clicking below. Windows Media Player is required. Wild at Heart DVD Contest Coming Soon – 1st Prize is a WAH DVD Signed by David Lynch!!! 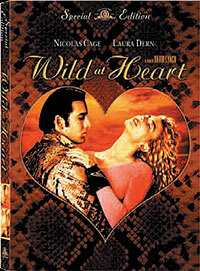 Keep checking back here in the next few days for our upcoming Wild at Heart DVD Contest. 1 Winner will win a signed copy of the new Wild at Heart DVD courtesy of MGM. 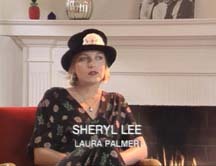 Twin Peaks Season 2 Article Posted at Lynchnet – Worldwide Release?!! Mike Dunn over at Lynchnet.com has posted an interesting article on the release of Twin Peaks Season 2, citing that the delay may be attributed to Paramount waiting to do a worldwide release (US Included) of Season 2 when the rights revert back to Paramount in September 2005. This is good news for US and somewhat more of a delay to the rest of the world that were told that Season 2 would be released Q2 2005. It still may, come out in Q2, but it would make sense for them to try and time them to avoid loss of sales to those importing the DVD from overseas. One other bit of news it that I have yet to confirm that Paramount will be using the original negatives to do the transfer for Season 2. This would be quite a shame if they didn’t match the Season 1 transfer quality after this incredibly long wait for the fans. It seems that as before, MK2 has been getting lots of support from the fans to release FWWM on DVD with Deleted Scenes. I have gotten word back from MK2 that they are in fact trying to meet with Lynch once more in hopes to come to an agreement, and will be pushing their 2 Disc Collectors DVD of FWWM back to 2005. They will in fact still be releasing a single disc version in December of the film with a 5.1 English and French audio mix. In speaking with MK2, they sounded optimistic to explore every possibility. You may continue to send letters of support to: editions@mk2.com. You can now pre-order Wild at Heart from Amazon.com. Click below to place your order. Wild at Heart Region 1 US DVD Specs Updated!!! Also, just confirmed, Lynch and Neff did complete a new 5.1 sound mix. As early as 2002, New Line, the American editor of the DVD, had tried to include these cut excerpts into its edition, but had been forced to give up for financial reasons. We have tried several times to contact David Lynch and his associates to find a technical and financial solution to the problem. We had thus stopped exporting the film worldwide in 2002 and 2003, and had delayed the French editing of the DVD. Despite a few sporadic contacts, mail without answers and missing appointment on David Lynch’s side has made us take the decision not to deprive the French audience anymore from this major film that is also an important work in David Lynch’s filmography. The DVD, to be released on December 8th 2004 in France, will thus be edited with as much care as any of the other MK2 products, but these cut scenes will unfortunately be missing. We still hope – as all David Lynch fans worldwide do – to have these cut scenes included in a future version of the DVD, but this responsibility and willingness has to be shared by David Lynch himself. 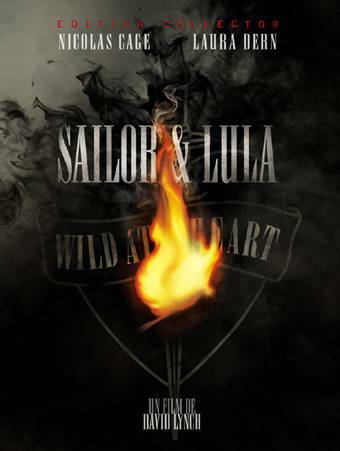 According to a post today in the Digital Bits Rumormill, Wild at Heart is set to release on December 7th. The video transfer has been re-color timed and approved by Lynch. Rumor has it that Lynch was very involved with this release. Extras to include interviews with cast and crew, as well as a stills gallery and more. I have also confirmed that there will be no Deleted Scenes with this release, as Lynch did not want them to be released. Special Thanks to Adam Santangelo for the heads up. Word has it that the world outside of US and Canada will be seeing Twin Peaks: Season 2 on DVD in Q3 2005. Lets hope that those transfers are as good as the Season 1 set. Well, no recent update on the Wild at Heart Special Edition DVD, however, if all goes as planned, we should hear an announcement in the next month or so if it truly is going to be released this December. Below is a shot of the proposed artwork for the French Special Edition. Today I was alerted to what seems to be the specs for the upcoming MK2 FWWM DVD. According to the specs over at DVDFR.com, MK2 will be releasing 2 versions of Twin Peaks: Fire Walk With Me on DVD on December 8th, 2004 cited as an “Edition Collector” as well as an “Edition Prestige”. In the specs, there were absolutely no mention of Deleted Scenes. I’m sorry to tell you that the DVD NET.fr announcement is a mistake. At the moment we are still waiting for an answer from David Lynch in order to include the deleted scenes on the DVD; we don’t know how, neither why the DVD website has released the statement about the deleted scenes. However, we are working on bonus features, but we can’t divulge anything for the moment. With December 2004 just months away, it seems that unless work were to start now on the Deleted Scenes, there is no way it will make it for this release. Take into account that it will take roughly 2 months to finish and transfer the scenes, and about 2 months for the discs to be at the replication plant, and that would put us right into December. I have been told that the extras for the US Wild at Heart DVD have been completed. Tentative release date is December 2004. Recent talks of MGM getting acquired by either Warner or Sony could drop this release into limbo. (Remember that Lost Highway DVD that was supposed to be out by now) We will have to wait and see. Thankfully Sony and Warner are a little better about their catalog titles. Sorry for the lack of updates lately. As always, I have been working like a dog. I did however, manage to get myself married and take a quick honeymoon over at the Salish. 🙂 Hopefully news will start pouring in towards the later half of September. Thanks to St. Mark for the heads up. I’ve received word from Paramount International that the International release (non US) of Twin Peaks: Season 2 on DVD has been pushed back to 2005. No word as to why yet another delay. More details as they come. So far, no indication of any Deleted Scenes, and sad news is that word back from contacts close to Lynch indicate that it does not look so good. All we can do is keep sending those letters. Click below for the original article. Special thanks to Vincent Théval and Carl Smith for info. 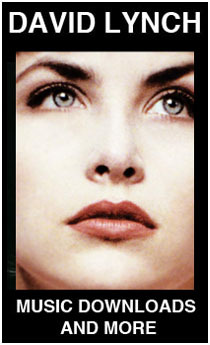 Sherilyn Fenn, Jennifer Lynch, and James Marshall Expected at this Years Twin Peaks Festival 2004!!! Great news for those venturing up to the Twin Peaks Festival this year. For the first time ever, Sherilyn Fenn, Jennifer Lynch, and James Marshall are expected to attend this years Twin Peaks Festival. Also in attendance will be John Neff of Blue Bob, Don Davis, and Charlotte Stewart. Tickets are still available!. Click to find out more on this years Twin Peaks Festival 2004. Upon reading my last article, a few readers have contacted MK2 to get confirmation on the Deleted Scenes. It would seem that MK2 is contradicting the article at DVDNET-FR.com. Over the last day, DVDNET-FR has even changed their article to “Unconfirmed”. The only thing that is certain is that MK2 will release the DVD in December 2004. I implore you all to keep sending those emails of support to editions@mk2.com. DVDNET-FR.com Reports MK2 to Release Twin Peaks: Fire Walk With Me w/ Deleted Scenes Region 2!!??! Reported by the famous French DVD website DVDNET-FR.com, MK2 plans on releasing Twin Peaks: Fire Walk With Me on DVD this December. What is of particular interest to fans worldwide is that the article mentions that MK2 claim they will be releasing Deleted Scenes with this release. IF this happens, you can guarantee that New Line will be right behind this with a US re-release. Anyone living in France, I urge you to contact MK2 and let me know what they say on this matter. Special thanks to Jean Martin and Christophe Graciot for forwarding me the link. It looks like the Digital Bits has picked up on our story about the upcoming Wild at Heart DVD. They did a follow-up with their contacts at MGM and it looks like the plan is to release the Wild at Heart DVD in December. Also to note that for those of you that haven’t yet picked up the MGM Blue Velvet Special Edition, MGM will be issuing a price cut for this DVD in December as well. There’s a great review of the new Region 2 Dune DVD up at DuneInfo.com. You can check it out by clicking here. Small bit of Lynch Trivia: Did you know that David Lynch turned down an offer from George Lucas to Direct Star Wars: Return of the Jedi to direct Dune instead? One can’t help but wonder what his version would have been like. The good folks over at the Twin Peaks Gazette have a great idea for a coordinated weekly Twin Peaks episode viewing and discussion forum. Each week, members will watch an episode of the series (in order) starting with the original broadcast pilot and then going week to week. Starting March 22nd, each Monday morning, a new discussion thread will be created with the name of the episode as the subject. The idea is that everyone will be on the same page and able to discuss the Episodes together in the Twin Peaks Theater Forum. If you want to participate, you have from now until March 22nd to watch the Pilot. David is finishing the color timing of the new transfer. The soundtrack will most likely be the original LCRS mix. 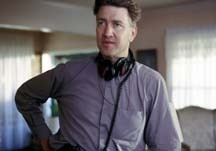 It seems that Lynch is no longer interested in doing any more 5.1 mixes of his older films. One thing however is that other than a great transfer, unlike MGM’s Blue Velvet Special Edition DVD, this DVD will have no extras or documentaries. Still no word back from Paramount. If I hear anything I’ll post it on the site. New UK Blue Velvet and Dune 2 Disc Special Editions on the Way! The extras seems to be a bit different on the Blue Velvet DVD than the US release and it is supposedly encoded for Region 0. Retail is £19.99. Keep in mind that the following has not been confirmed, but since I have received more than a few emails on this, I am going ahead and posting it. Unconfirmed information has been released that Paramount International plans on releasing 3 different sets of Twin Peaks Season 2. Remember, none of this has been confirmed and all information is subject to change. Release date pushed back to March 2005.